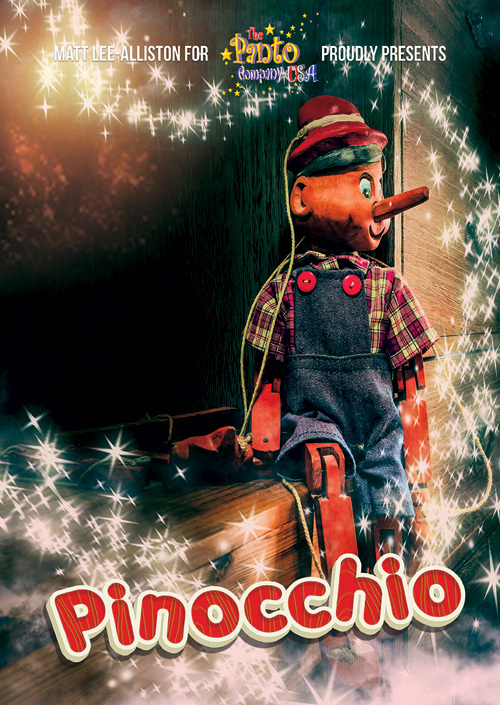 Pinocchio, the story of a wooden boy carved from the loving hands of his “Mother”, Dame Gina Geppetto, is brought to life as only The Panto Company can. Join Pinocchio on an adventure full of magic and wonder as he sings and dances his way to becoming a real boy. He’ll experience Stromboli’s travelling show, Pleasure Island, the inside of a whale’s mouth with his companions, the Blue Fairy and Jimmini Cricket among many others. A classic show for the whole family with all the production values The Panto Company USA has become known for – guaranteed to be a show with no strings attached!